In a year when Americans are arguably more cynical and disillusioned about politics than at any time since Watergate, the corruption trial of Rod Blagojevich is a sobering reminder of how its practitioners operate. Although “Blago”, the foul-mouthed bouffant buffoon, is the main attraction of the Chicago production, the former Illinois governor’s reluctant co-star is Barack Obama. The President forms part of the proceedings each day even though the judge has spared him a personal experience. CHICAGO — Rod and Patti Blagojevich were awash in more than $200,000 in consumer debt when the former Illinois governor was arrested, following a lavish, six-year shopping spree on custom-tailored suits and other luxury clothing, a federal agent testified Thursday. Blagojevich and his wife spent more than $400,000 on clothes, mainly for themselves and not their children, from 2002 through December 2008 when he was arrested, Internal Revenue Service agent Shari Schindler told Blagojevich’s federal corruption trial. “Sometimes they used credit cards to pay for other credit cards,” Schindler said. Prosecutors are plainly suggesting that the staggering mound of debt facing the impeached Illinois governor and his wife could explain his alleged plan to get a Cabinet post or high-paying labor union or foundation job in exchange for filling the U.S. Senate seat Barack Obama was leaving to become president. 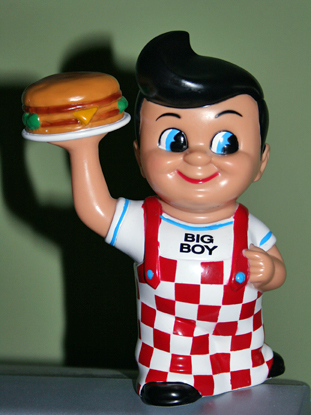 Prosecutors are adding it is hard to believe that Blago’s aka “The Big Boy” wardrobe could cost that much.. Prosecutors allege the ex-governor tried to leverage his Senate appointment power as a bargaining chip to find his next job. At times, there’s a kid-in-a-candy-store flavor to the wish lists that Rod Blagojevich rattles off in the wiretaps played at his corruption trial. A very frustrated kid in a store with shelves that leave things mostly out of his reach. 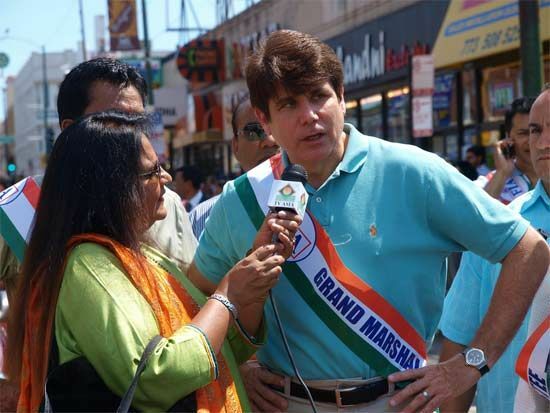 Blagojevich wants to be ambassador to India, or maybe Indonesia. Or how about the United Nations? The list goes on: a cabinet post such as health and human services secretary or commerce secretary, university professor, political action committee director, advocacy group head, leader of a nonprofit. Maybe, he said, he would just appoint himself to the vacancy in the U.S. Senate that he’s now accused of essentially trying to sell to the highest bidder. Or, to put it another way, Blagojevich desperately wanted to be anything but Illinois governor, the job he twice campaigned furiously to win. “Whatever cabinet position would be not stupid?” Blagojevich asked on one call. A former top aide to Rod Blagojevich testified Tuesday that the former governor was so anxious to leave Illinois and put his political woes behind him at the end of 2008 that he saw President Barack Obama’s election as a chance to broker a deal to go to Washington, D.C. Prosecutors played several secretly taped phone calls between Blagojevich and his then-chief of staff, John Harris, during Harris’ second day on the stand Tuesday. “I’d like to get the f*** out of here,” Blagojevich said on one of the tapes, recorded the morning after Obama won the 2008 presidential election. “The objective is to get a good gig over there,” meaning D.C.
A week before the election, Blagojevich and Obama had met with two top union officials, apparently sent on Obama’s behalf, who told them the future president wanted his close friend and adviser Valerie Jarrett appointed to be his successor. A new hole for Obama to plug…. CHICAGO (Reuters) – Even Rod Blagojevich’s lawyer finds him a bit strange, which may provide the key to the former Illinois governor’s strategy at his upcoming corruption trial — he was all talk, but no action. Among the 24 counts of fraud, conspiracy, bridery and racketeering that could land Blagojevich a long prison sentence are charges he dangled President Barack Obama’s vacant U.S. Senate seat to the highest bidder or demanded a cabinet post for himself in exchange for naming an Obama aid to the seat. Since his arrest at dawn on December 9, 2008, Blagojevich has repeated his mantra of innocence in nonstop interviews, in a book, on the airwaves as a local disc jockey, and to anyone who would listen on NBC’s “Celebrity Apprentice” television show. His attorney told an interviewer that he had neither the capability nor the intention of shutting Blagojevich up. “He’s a celebrity idiot, but he is a celebrity,” Sam Adam Jr. told Chicago Magazine of plans to let his client testify. Quieting Blagojevich would never work, he added. Another possible wild card in Blagojevich’s long-awaited trial that begins on Thursday is whether it will entangle Obama and his aides in Illinois’ hurly-burly political theater. The trial, which is expected to last up to four months, may expose discrepancies in how members of Obama’s future administration characterized its contacts with Blagojevich after the November 2008 election. 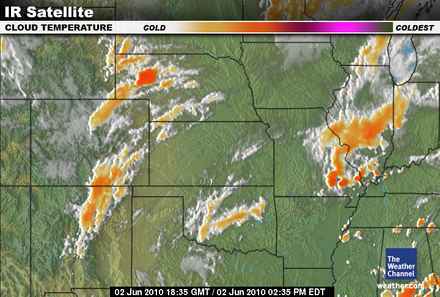 Chicago weather forecasts call for gale force winds entering the “windy city”.